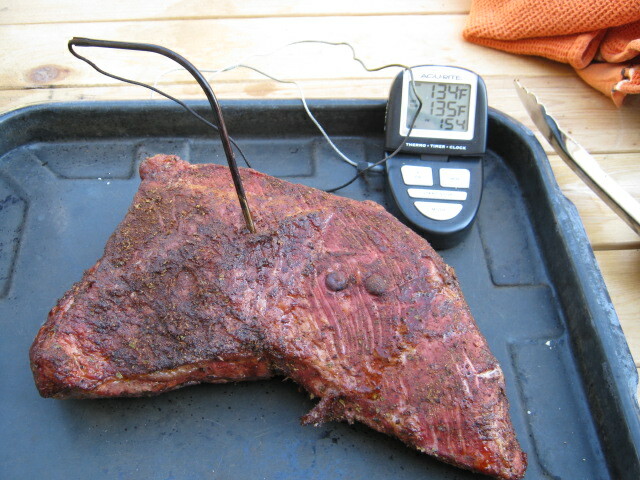 Doing a Santa Maria Tri Tip today. 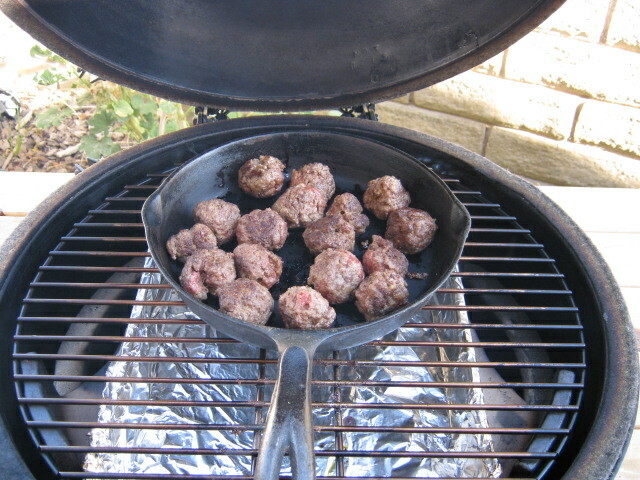 While traditionally this is done over an open flame with a movable grate I'm going to do it indirect and slower. While I've don many Tri Tips over the years this is the first one on the Egg. 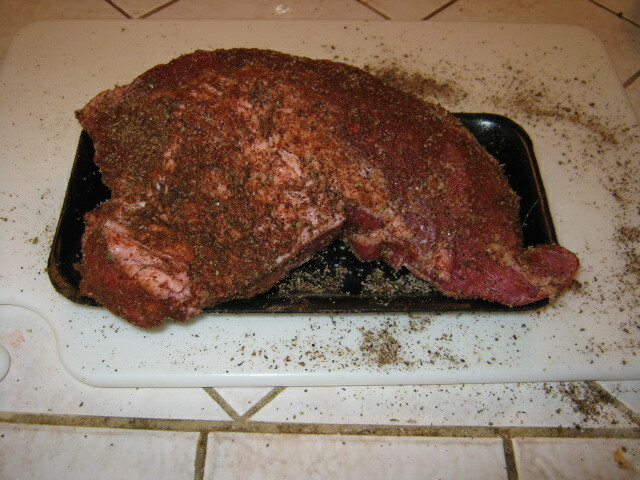 Rubbed with chile powder, cumin, oregano, salt, pepper, onion powder, garlic powder. 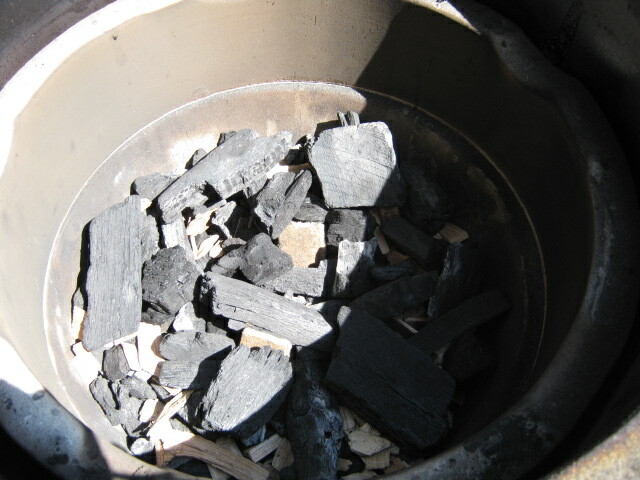 Using oak chips for smoke. I've taken a liking to chunks over chips but the chips were left over and need to be used. Right now going at about 270 on the Egg. Looking forward to see how it works out. Interested to see what you think of the lower temp cook. Do you plan on searing it at any time before or after your cook? I've traditionally seared it for 5 minutes a side. This time I'm going to just do the indirect. I'm pretty much following this recipe I found a while back. It suggests going at about 250 degrees. That seems a little too slow for this one. I'll let you know the results. I've done a bit of work in the Central Coast part of California including Santa Maria. Yesterday the wife and I did a day trip to Santa Barbara to beat the heat. Since we were close to Santa Maria and I saw tri tips on sale at Ralph's I decided it was time to try. Be very interested in your results. 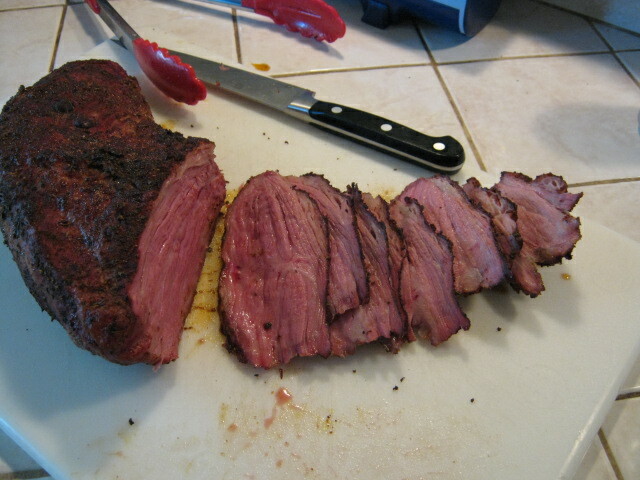 Low and slow for a cut like tri-tip doesn't seem to be any advantage. I came out quite good. I actually let the cooking temp drift up toward 300 through the finish. Pulled it at 135 internal temperature. It's got a bark, I think mostly from the rub, and is cooked very consistently through the roast. While the ends are medium-well it quickly changes to medium rare with each slice. Very tender too with an awesome oak flavoring. This method worked. Actually "It" came out quite good, although I actually came out quite good too with the beer I consumed through the cook. An interesting aside. I do a lot of conventional cooking as well on Sundays to prepare for the week. It's hotter than hell now so I don't want to even think about lighting the oven. 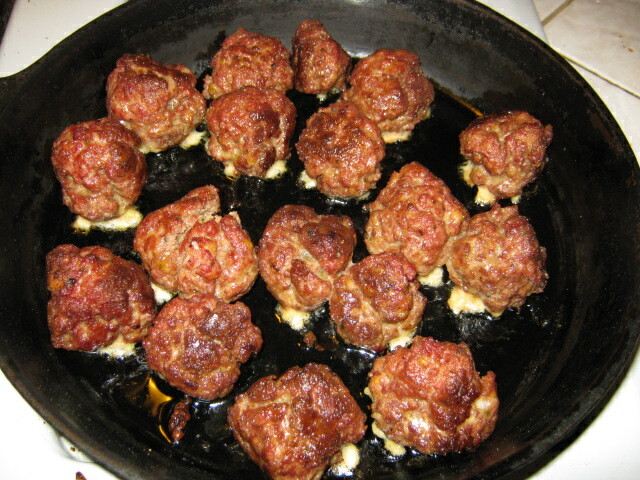 With the fuel left in the Egg I kicked the temp up to 350 and finished my wife's recipe Italian meatballs. They also came out great. Anything you can do in a conventional oven you can do on an Egg.